1) The first case is the dark circle caused by hyperpigmentation of the skin. Some ethnic groups are more exposed to this kind of discoloration compared to others (for example some Indian people have almost black pigmentation in the under-eye area). You realize if you are part of this group, just checking the color of your eye circles: if it looks brownish-black… then that’s it! 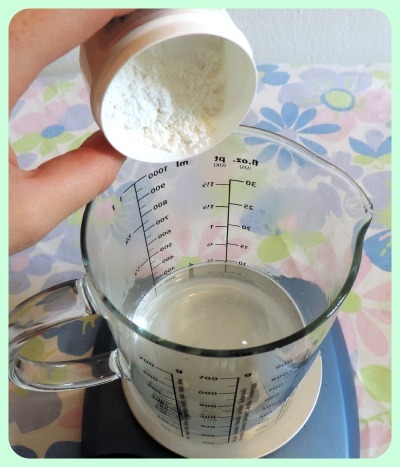 However, this recipe won’t help you against discoloration, because the recipe should contain totally different active-ingredients. I will post a recipe that tries to solve this “problem” if you want. 2) The second case (which we try to solve thanks to this recipe) are the bluish circles caused by leaking capillaries. 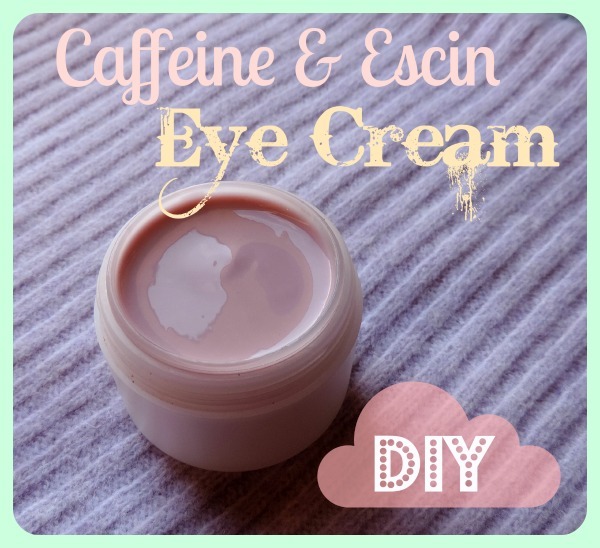 To help against leaking capillaries I have added in this formulation ESCIN! – It can be added up to 2% of a formulation. 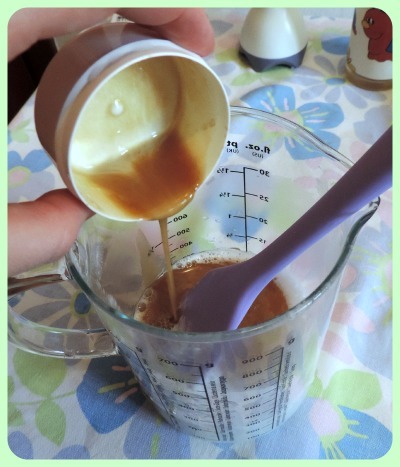 Another “Prince” Active-Ingredient of this recipe is, obviously, Caffeine (I have already written a post about Caffeine, you can read it HERE). Caffeine helps mostly against puffiness because it improves the blood circulation (therefore helping the exceeding water to move out of the area). 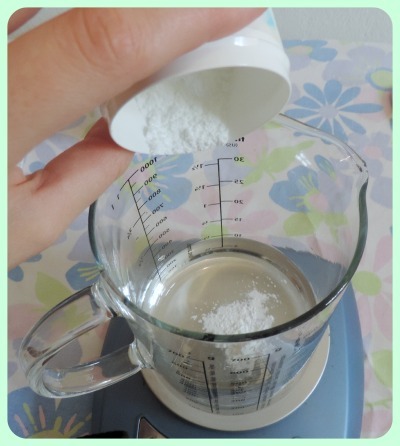 [If this is the first post you read and you feel confused about formulation, I suggest you to first read the theory of making your cosmetic creams at home 🙂 You can find the list of all the theoric posts and all the recipes HERE. ** About this EMULSIFYING SYSTEM: Abil Care 85 is a silicone based emulsifier which can be used at room temperature and higher temperatures. It is silicon based and therefore it is not extremely eco-friendly. Tinovis ADE is a thickener which can be used without gelling the Phase A and must be used at room temperatures. Abil Care 85 and Tinovis ADE are a good combination for making creams with a good texture and in a fast way (since you don’t need to heat them to use them). I don’t like silicones on my skin but this is not a cream based on silicones, the amount of silicone in a cream emulsified with 2% Abil Care is lower than 2% and that is totally acceptable to my skin. 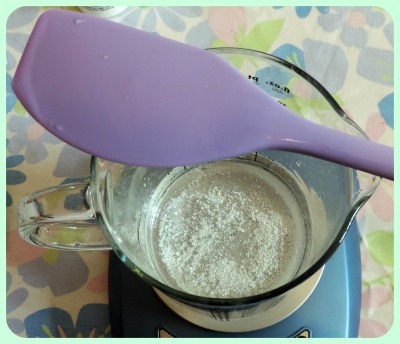 However, if you don’t want to buy these two emulsifiers (let’s say you want to avoid silicones completely) then you can obviously use a different Emulsifying system. 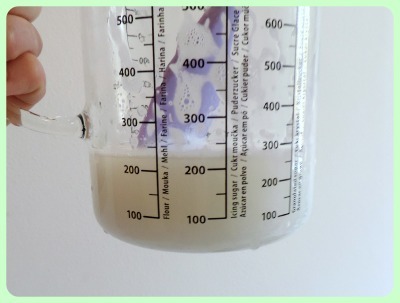 Just consider that you will have to add a gelling agent in Phase A, you will have to create a larger Phase C (with Escin, hyaluronic acid gel, black currant oil) and you will need to heat up the Phase A and Phase B at the needed temperature for your emulsifying system. If you have doubts, read the theory HERE and check other recipes HERE. 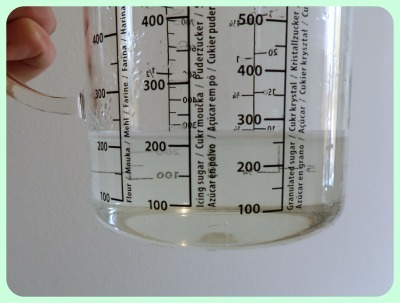 1) Measure and add in a becher the water (you have previously calculated the right amount of water 😉 ) and the Glycerin. 4) Heat up the water with caffeine just a little, until it becomes all transparent again. 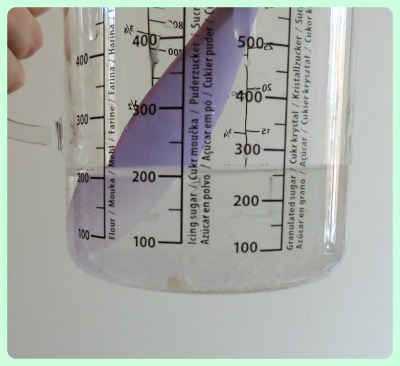 6) Eventually add Hyaluronic acid gel and betaine (it should look like the picture below: it is not transparent because of the escin, what is important is that there are no residues left on the bottom because it would mean that it is not “melted” in the water). Set aside. 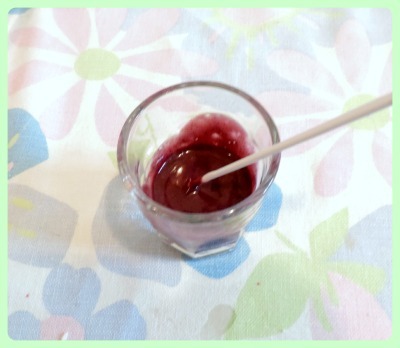 11) Aside measure the Blueberry Powder Extract and the Preservative. 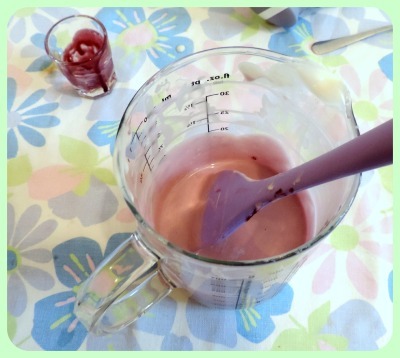 Add a little bit of cream and mix in order to start “melting” the blueberry powder. 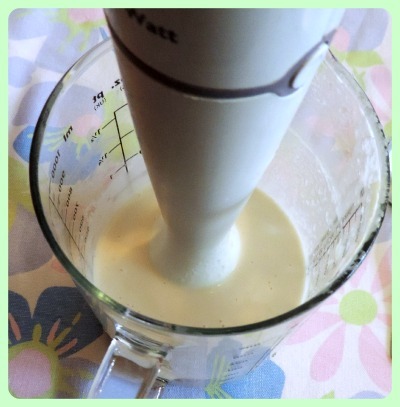 12) Add the Phase C to the cream. 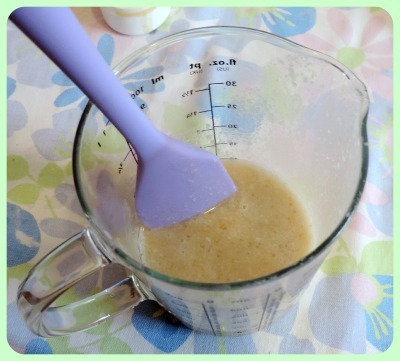 This recipe is licensed under a Creative Commons Attribution-NonCommercial-NoDerivatives 4.0 International License. The thing is that the cells of that area, to protect your eyes, produce a lot of melanin. The main thing to do to try to avoid these dark circles from getting even darker is to protect your eyes from UVA and UVB. You could use very good and dark sunglasses when exposed to the sun! I am not a too big fan of sunscreen creams, but if you know you are going to be in the sun for many hours… then think about getting a good sunscreen for your eye-area. 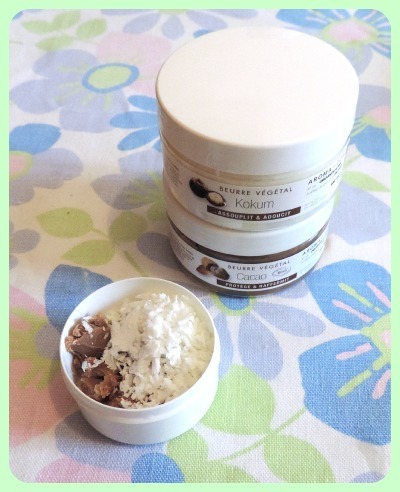 Anyway really don’t worry: there are many ingredients which have depigmentation properties! Mostly what they do is they stop the production of melanin (in one way or another). I will try to make a good formulation (specially considering the delicate eye-area). where do you get the ingredients from?? 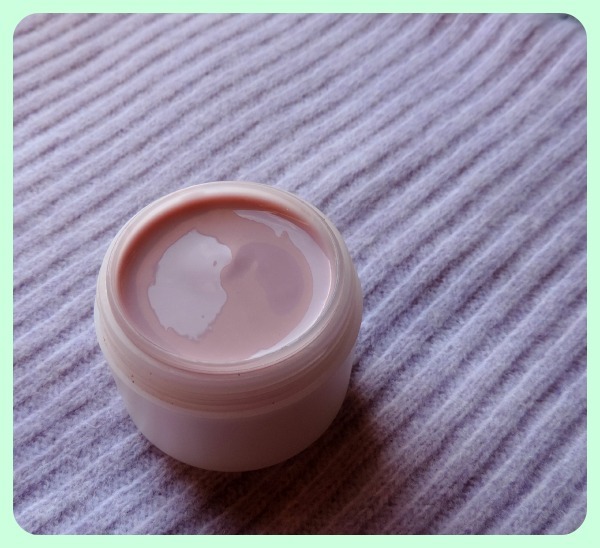 I made a post about where to purchase cosmetic ingredients online! There are many websites and I didn’t even name half of them.